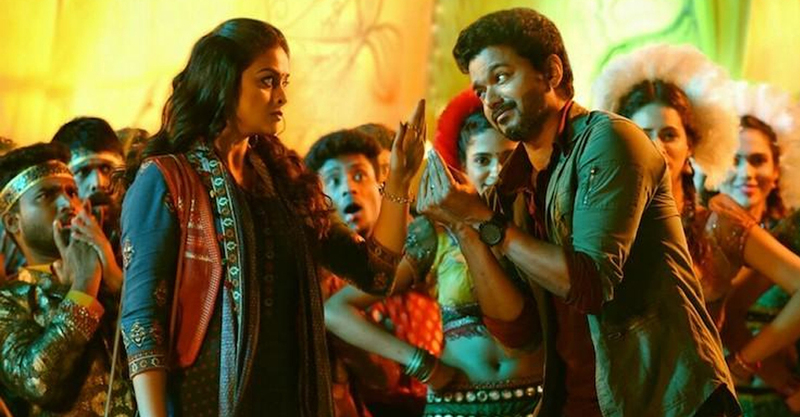 Sony Music has grabbed the audio rights of Vijay and Keerthy Suresh starrer Sarkar. The film’s music has been composed by double Academy Award Winner AR Rahman. Director AR Murugadoss has directed this political action-thriller. It is being reported that Sony Music has bagged the audio rights for a remarkable price. Makers are planning to launch the audio on the second of this October on the occasion of Gandhi Jayanthi and will be aired Live on Sun TV. “Get ready to witness the grand Audio Launch of Thalapathy Vijay’s #Sarkar this Tuesday (2nd Oct) @ 6:30pm on #SunTV. #SarkarAudioLaunchOnSunTV. [sic]” the channel tweeted. The makers had unveiled a single titled ‘Simtaangaran’ from Sarkar recently, but the track largely got mixed reviews. Following the commercial success of Thuppakki and Kaththi, actor Vijay and filmmaker AR Murugadoss have teamed up for the third time. Veteran actor Radha Ravi is tipped to be playing the antagonist in the film. Bankrolled by Sun Pictures, Kalanithi Maran on a very high budget, Keerthy Suresh has rejoined hands with Vijay after last year’s Bairavaa. The film also stars Varalaxmi Sarath Kumar, Prem Kumar and Yogi Babu. It is learned from reliable sources that Varalaxmi’s character that has many shades and she will be seen playing the role of the Chief Minister’s daughter in the film. Pazha Karuppaiah will be seen in the role of a politician in the film. Girish Gangadharan, the young lensman whose recent work includes Kali and Solo, is cranking the camera. National award-winning editor Sreekar Prasad, who has worked with Murugadoss in projects such as Thuppakki and Spyder, is also part of the film. All eyes are on Thalapathy 62 as the combination of Vijay and Murugadoss has set the bar very high. Two of Vijay’s best films in recent years have come from Murugadoss and it naturally has built high anticipation around their next project.